Obituary for Thelma Kane (A.K.A) Moochie Russell | E.F. Boyd & Son, Inc.
Thelma Kane - Russell began her journey on February 29, 1952 in Cleveland Ohio. Affectionately known to her family and friends as Moochie. 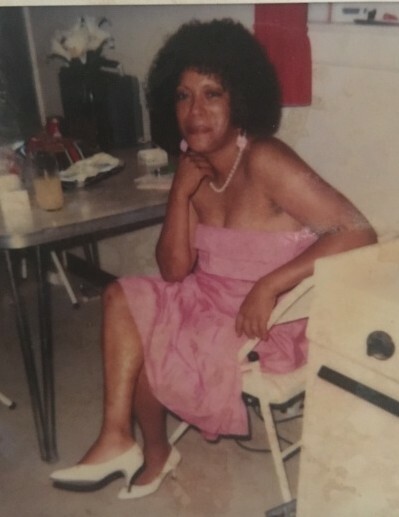 Moochie was a homemaker, a devoted wife, loving mother to her children Ruben Russell II (Reggie) and Robert Russell (Robbie). Moochie was a nurturing mother, wife, grandmother, great grandmother, sister, aunt and friend. Moochie enjoyed spending time with her son, grandchildren and great grandchildren they were the joy of her life.